If you're considering applying for next year's programme, these are the steps you'll need to take. First things first, you will need to register your details to join the list of interested candidates. Once you do this, we will be able to notify you as soon as employers come on board so you can be one of the first in with your application. In addition, when you register your details, we’ll send you useful information on writing a great CV, building a solid personal online brand and how to conduct yourself in an insurance interview. You'll be able to register your interest through earnandlearn.ie in the coming months. As the Insurance Practitioner Apprenticeship is a level 8 honours degree programme, there are requirements you must meet for entry to the course. These vary depending on whether you’re under 23 or if you have worked in the insurance industry previously. Aside from the academic entry requirements, individual employers may have specific entry requirements too – for example, they may be looking for someone with exceptional interpersonal or communication skills. All apprentices must be at least 18 years of age to enter the programme. The Insurance Practitioner Apprenticeship involves a choice of two separate streams – general insurance or life insurance/financial advice. Working in the general insurance sector involves claims handling, underwriting and direct client advice. When you work in general insurance, you’ll be dealing with areas such as home insurance, motor and health, as well as commercial insurances like property or liability insurance. If you choose this stream, you’ll earn the Certified Insurance Practitioner (CIP) designation in addition to your level 8 degree. If you choose to go down the life stream, you will work in areas like mortgages, investments, pensions or financial advice. If you choose the life route, you will earn the Qualified Financial Adviser (QFA) qualification in addition to your degree. This infographic explains more about the financial advice stream. 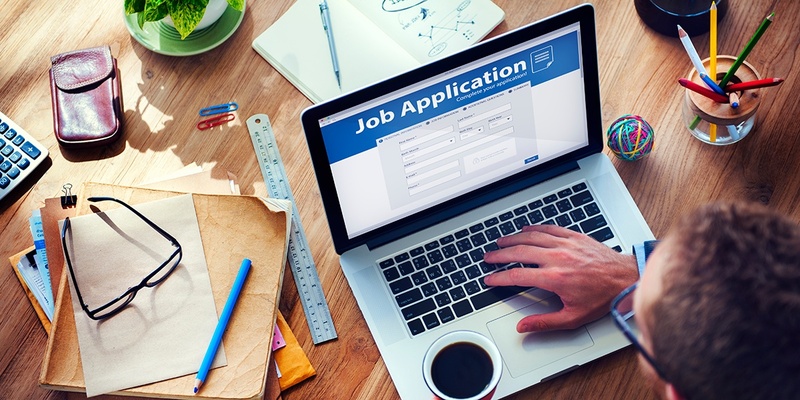 Once you have decided which stream you would like to work in – or perhaps you would like to apply for both – you will need to write an excellent CV and cover letter. You will apply directly to the company of your choice, many of whom will require you to email through your CV and cover letter. Others may have online application forms for you to complete. What size of a business do I want to work for? Am I better suited to a small Broker firm or a large multi-national? Am I willing to relocate to another part of the country for my apprenticeship? Do I want to work in life or general insurance? All of these factors will play a part in your employer choice. If an employer is impressed with your CV and cover letter and if you meet all entry requirements, you will then be called for interview. Whether you are just starting out and this is your first interview, or if you are changing careers and are an experienced interviewee, there are lots of techniques you can practice to ensure you impress on the day. If all goes well at the interview, you may then be offered a place on the Insurance Practitioner Apprenticeship by your employer. The next programme officially begins in early September 2019.